These are pretty much always called Mites. 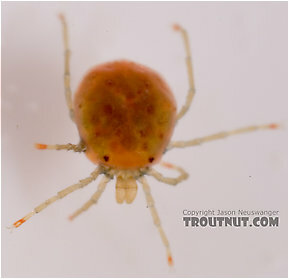 Acari (Mites) Mite Adult View 4 PicturesThese tiny little aquatic mites show up in my samples from time to time. This fairly large one is only about 1mm long, so these aren't relevant to trout, but it's interesting to know that they're down there, anyway.